Birthday parties and bounce houses go hand in hand like cake and ice cream. 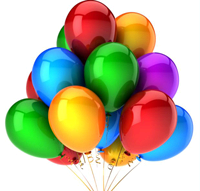 Whether you are planning a birthday party for a boy or a birthday party for a girl, Coastal Moonwalks has one of the largest inventories of inflatables and party rental equipment for your next event in Jacksonville & Northeast Florida and we are excited that you are here so we can show & tell you about them! 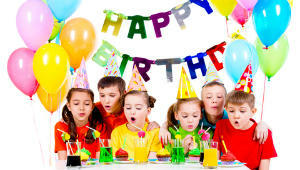 Let our professional delivery staff bring the fun and excitement to your next Birthday Party Bash! Whether you are celebrating an annual milestone for a big kid or a little kid, we have a wide variety of bounce house inflatables with many popular themes such as: Mickey Mouse, The Little Mermaid, Fire Station, Superhero Justice League, Superman, Spiderman, Batman, Disney Frozen, Disney Princess 3D Combo, Giant Slides, Small Slides, Water Slides, Obstacle Courses, and soo much more! We offer you flexibility with our "Build Your Own Party Packages", you get to choose the details that will make your party special. By building and adding to your party package, you save money. The more you add to your package, the larger your savings! Choose from our unique selection of inflatables & games and customize a package that is specificaly tailored to your special occasion. We value you as our customer and want to ensure you, that you can trust Coastal Moonwalks professionalism and dependability for a smooth, stress free, and on time event rental. We are dedicated to the success of your event and it shows through the service that you will receive when you give Coastal Moonwalks the oppurtunity to serve you! Let us help you make your party unforgettable! When you choose Coastal Moonwalks as your Jacksonville & Northeast Florida Birthday Party Rental Headquarters, you will be sure that your party with be a success!